The myriad of engagement activities our live collection facilitates is fundamental to the work being achieved by the Vivarium. From use with our Baby Explorer sessions for tiny tots, to supporting undergraduate and PhD student projects, our live collection supports a huge variety of activities. All the team here contribute to the delivery of sessions, and recently that has included Matt delivering hands-on sessions in a special early opening programme that allows people with autism, including children, to get up close and personal with our animals – before the museum even opens! 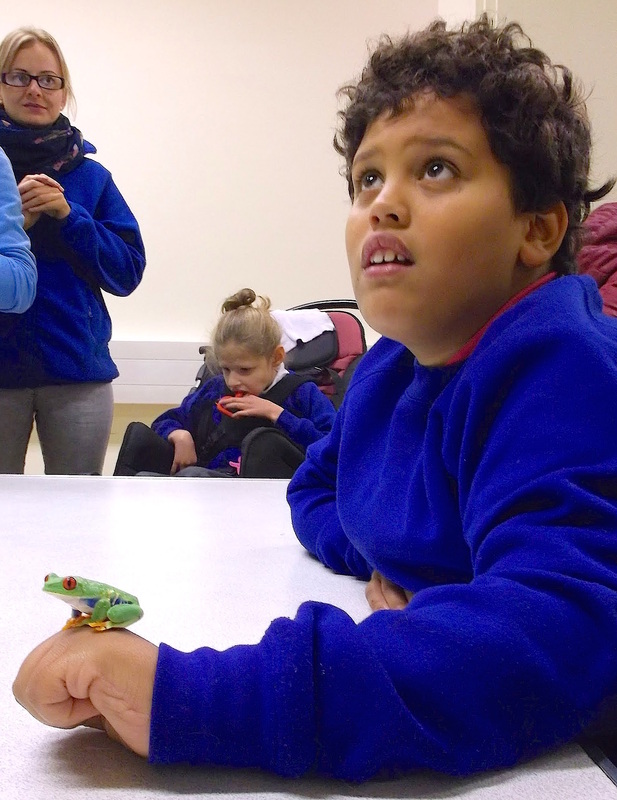 Adam also frequently delivers hands-on animal sessions to young children as part of their Animal Explorer visit and our newly developed Habitat Explorer sessions. Both Adam and Matt do a fantastic job, and the utmost of care is taken to accommodate all the children’s and animal’s needs and safety. Very close to my heart are the special sessions we offer for children and young people with severe learning difficulties. 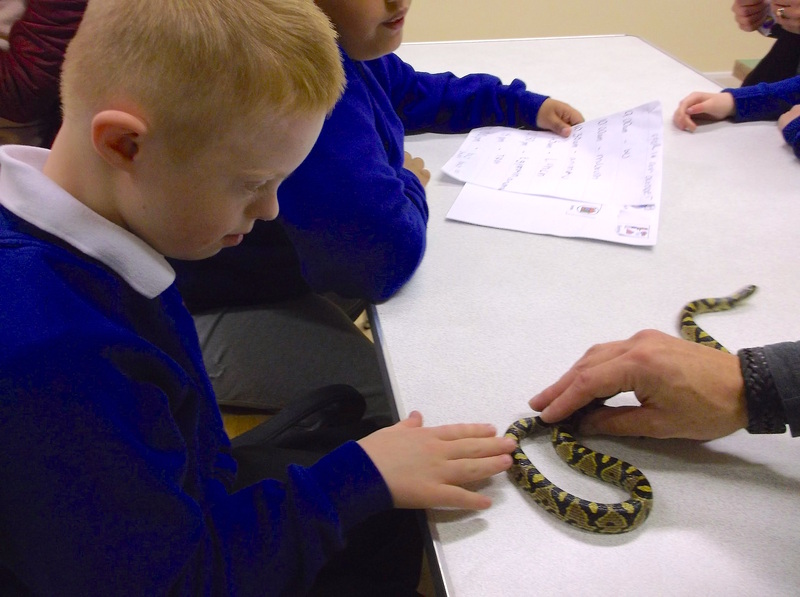 On Friday we had such a visit from 9 super pupils from Park Lane School who also had additional physical, sensory and medical difficulties. It was sheer joy for me to meet and welcome them all to the museum and very special for me to run the session. It provided a wonderful experience for all involved, including the support staff and teachers who were amazing. Having just received an email of thanks with some of the pictures taken during the session I am able to share, it really makes me proud of the difference being made and all being delivered from the Vivarium, the Museum, the University of Manchester. This was such a valuable experience for all pupils. Andrew the workshop leader was brilliant and very tuned in to the needs of all our pupils, making the workshop session a very individualised learning experience. Thank you once again, and we are looking forward to planning our next visit very soon.